The final two preseason games have come and gone. In a home and home series with the Flyers that saw each team win in overtime, what did we learn? Vinny Lettieri is pretty poised to make the roster. The 22-year old former Golden Golpher who used a nine game AHL experience with the Wolf Pack definitely delivered on his promise to come in and win a spot. Despite being a little undersized going 5-10, 182 pounds, he uses the frame he has along with tremendous speed to make things happen on the forecheck. He didn’t just do a good job skating and protecting the puck. He made plays by scoring a power play goal and making a great touch pass to a open David Desharnais for a PPG in another showing. There’s plenty to like about Lettieri, who also hopefully gets to keep that cool number 95 jersey. It makes sense to stick him on the roster with him being a crafty, aggressive right shot who isn’t gun shy like the rest. A perfect fit on a checking line replacing still recovering PK ace Jesper Fast. That versatility should make him a fan favorite. Assuming he made it, that leaves GM Jeff Gorton and coach Alain Vigneault with a tough decision. Do they go with 14 forwards or eight defensemen? Based on the options they have with Neal Pionk, Ryan Graves and Steven Kampfer, it looks like they’ll go with seven D and 14 F. The other two spots are starter Henrik Lundqvist and backup goalie Ondrej Pavelec. Let’s say for argument sake they decide Boo Nieves can fill the fourth line center slot that was vacated by Oscar Lindberg. With the club seeming to like Desharnais, who was very good in exhibition, as a third pivot with potential linemates Michael Grabner and Jimmy Vesey, that would leave one opening. Based on a interview Gorton did with MSG’s Sam Rosen and Joe Micheletti, it looks like he’s leaning towards sending first round picks Lias Andersson and Filip Chytil back to Europe due to development. At the least, they could decide to see what either can do in nine games. Andersson is already a good two-way player who Vigneault used in a checking and PK role. Already over 200 pounds, the soon to be 19-year old Swede who the team acquired with the seventh overall pick as part of the Derek Stepan/Antti Raanta deal that also netted DeAngelo, has an NHL body. But there might not be adequate room. Of course, I would prefer to watch Andersson and the supremely skilled Chytil, who looks like a potential steal after going number 21. But realistically, neither would get the ideal ice-time that would be best for their development. At the very least, these kids showed what they are capable of which should excite the fans and organization. Something the very serious Gorton alluded to. Hint: he didn’t smile or flinch once with Sam or Joe. With a week until the season opener at MSG next Thursday, Oct. 5, the Rangers will trim the roster further. There’s still 32 players. So, nine must go. They designated Brandon Halverson and Gabriel Fontaine, who showed some good speed and energy for a 20-year old first year pro. 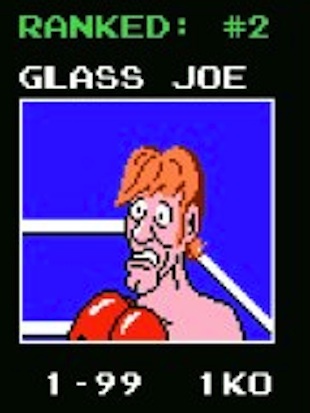 I think he’ll make a nice third liner. The breakdown is 20 forwards and 10 defensemen. One surprise has been Paul Carey. A 29-year old with NHL experience. He has impressed Vigneault with his battle level and put himself in position scoring a goal the other night on a nice Vesey pass. He’s probably still a long shot to make it. Andrew Desjardins will be released from his PTO. He was suspended for the final two preseason games due to his match penalty on Miles Wood. It might’ve been overkill with Wood not keeping his head up. But Desjardins never got going. Bobby Farnham certainly made some noise with his usual edgy play. He’s a gamer who brings that physical element. It won’t be enough but maybe he goes down to Hartford and becomes a mid season call up when necessary. Steven Fogarty is listed but didn’t play. I’m not sure why. Matt Puempel was not overly impressive even though he got into a couple of scraps. He could be a waiver candidate. On D, Marc Staal struggled. He just can’t skate fluidly and has lost balance due to the injuries. He can still penalty kill but I really wonder what the plan is. It’s a sad reminder for the veteran who like former teammate Dan Girardi, has given his heart and soul. He’s not an everyday player. He deserves to be in the rotation. He did look for more shots but wasn’t able to convert. As far as Pionk, there’s a lot to like. He’s a superb skater and another right shot who thinks offense. But I was pleased with his battle level getting out of his end. Some fine tuning in Hartford can only help unless Gorton trades Nick Holden. Wonder what AV thinks?!?! Kampfer remains a solid citizen who can fill in accordingly like he did last year. He doesn’t do anything to drive you nuts. He’s smart and knows how to play. Always a good depth player to have. What I do know is Ryan McDonagh-Kevin Shattenkirk and Brady Skjei-Brendan Smith are givens as the top two pairs. Though I didn’t feel Smith had a great camp. He’ll need to do better to justify the contract Gorton gave him. After that, the third pair remains problematic. If they don’t move Holden for a fourth or fifth round pick, then he’s one half of that potential nightmare pair we saw too much of. I would much rather see Holden-DeAngelo or Pionk if Holden stays. And that’s the thing. Unless he stunningly retires, Staal isn’t going anywhere. How confident can we be if he’s still getting into 50-plus games? Exactly. The defense wasn’t good to begin with. They gave up way too many chances and shots in the Flyers back-to-back. Lundqvist held up because he’s still capable. Pavelec didn’t allowing four with the Travis Konecny OT winner not one of his highlights. I have no idea how Pavelec will perform. That’s why AV left the window open on how many games Lundqvist could get. Pavelec can make the very difficult save impressing you but then give up one that has you puzzled. How much will they miss Raanta? He only won 21 games and posted one more shutout (3) than HL. There can’t be a repeat for the Swedish King or there’s no playoffs in an improved Metro with the Atlantic also better. There are more questions that won’t get answered until it starts up. The Rangers didn’t score a lot in preseason. But it was PRESEASON. Other teams including the much improved Devils have. What does it all mean? I don’t know. Regardless, I’ll have more in future posts including a NYR preview along with some Islanders, Sabres and the NHL Predictions. Stay tuned. 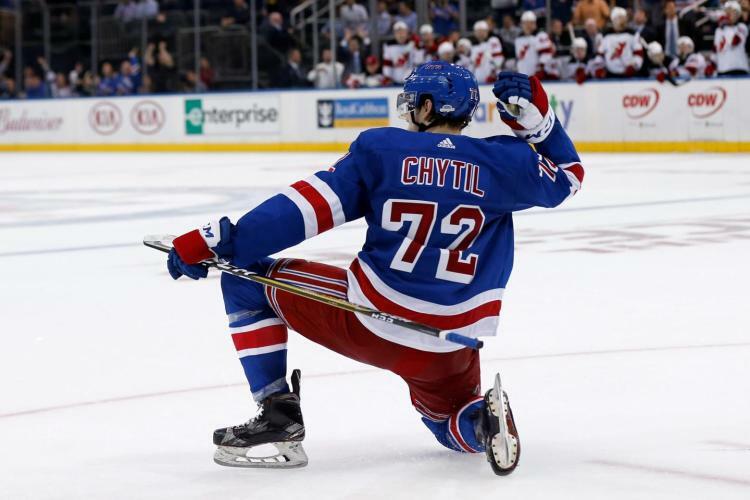 This entry was posted in NY Rangers, preseason and tagged analysis, Anthony DeAngelo, Filip Chytil, Flyers, Henrik Lundqvist, Lias Andersson, Marc Staal, Neal Pionk, Nick Holden, NYRangers, Ondrej Pavelec, Paul Carey, preseason, Steven Kampfer, Vinny Lettieri. Bookmark the permalink.